If you enjoyed that map, you may also enjoy the following two, both courtesy of Chris Blattman. The first one is from 1913 and is titled, “Africa Religions & Missions.” It is good to know the heathens are losing ground. 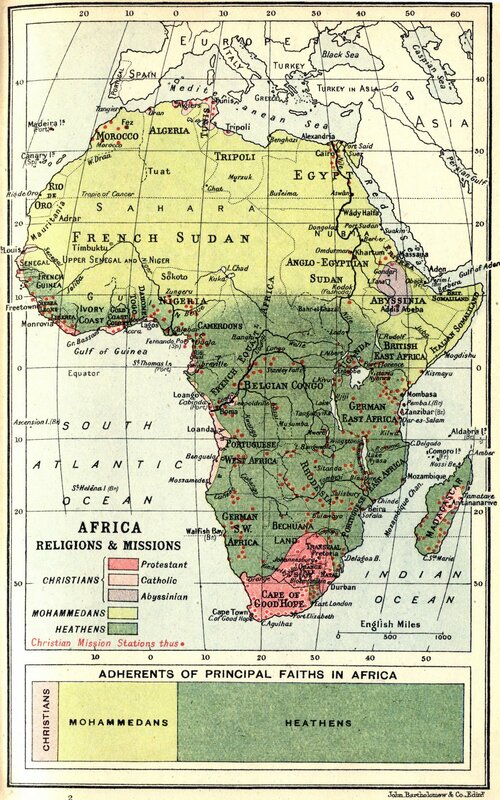 And finally, one more map of Africa. not in ALL of Africa? There are NO tigers? I simply can’t believe you. Well that is what google is for. Look it up. Apparently there are some tigers in South Africa, but they were sent there from China and live in a zoo. Thus, they do not count.